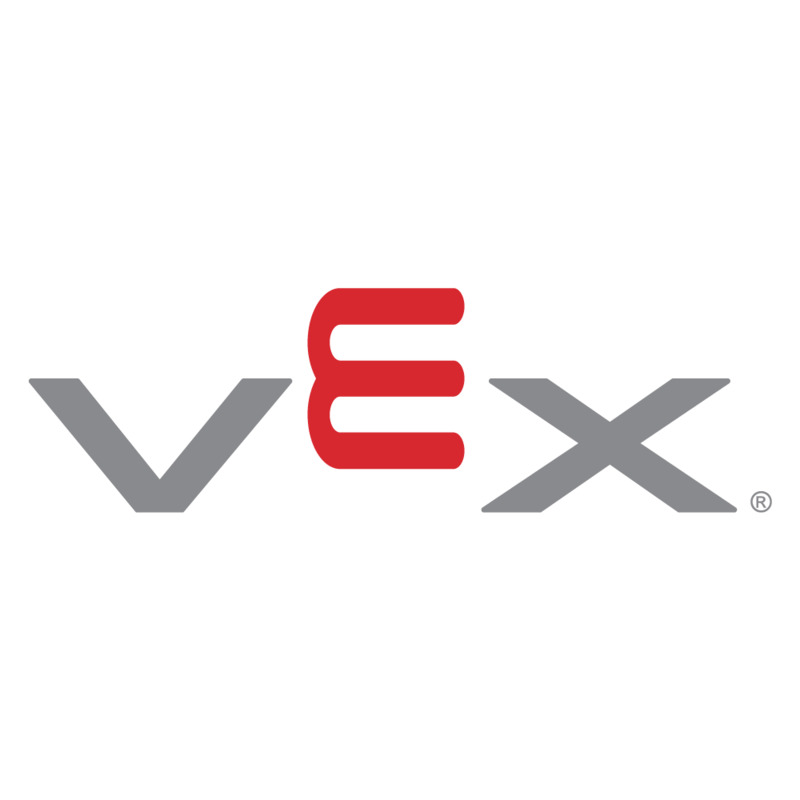 The VEXnet Joystick is the most intuitive way to wirelessly control a VEX EDR robot. 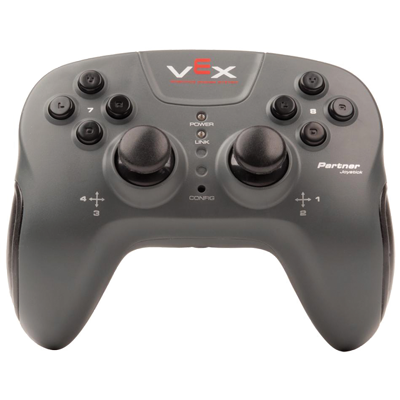 With a familiar layout inspired by video game controllers, the VEXnet Joystick features a 2-axis accelerometer, 8 face buttons, and 4 "trigger" buttons. Powered by AAA batteries or through the VEXnet Joystick Power Adapter. Have a lot of moving parts on your robot? Simply connect the Partner Joystick to the VEXnet Joystick using a Coiled Handset Cable and divide command between two separate operators! Great for building teamwork or for complex robots. NOTE: VEXnet Joystick and Partner Joystick contain the associated controllers ONLY. Six (6) AAA batteries or a power adapter are required for operation, and a VEXnet Key 2.0 is required for wireless communication. The VEXnet Joystick allows a human operator to control a robot in real-time using the VEXnet wireless link. The joystick has two 2-axis analog joysticks, 4 trigger buttons and two 4-button directional pads. It also has an accelerometer that provides X-Y tilt outputs. This allows you to control an arm or drive system by changing the orientation of the joystick (tilting). 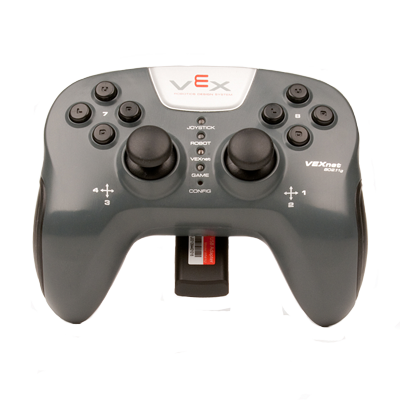 Just plug a VEXnet USB Adapter Key or VEXnet Key 2.0 into the port on the back and enjoy the ultimate in robot control. To control a single robot with a main driver using a VEXnet Joystick and a secondary driver using a Partner Joystick, simply connect the two joysticks together by running a standard telephone handset cable between their Partner ports. For tethered control, connect the “MCU” port on the top of your Partner Joystick to the “RX1” port on your VEX microcontroller with a standard telephone handset cable.